CBD Oil is all the talk in the news! 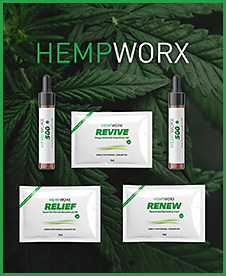 GET YOUR FREE HEMPWORX SAMPLE PACK TODAY ! Easter Monday Gift Auction benefiting Saint Peter School. 50/50-Live Auctions-Tricky Tray-Lotto & Birthday Boards. Dessert and Beverages Available For Purchase. all to benefit the shelter animals of Associated Humane Societies! Our tricky tray baskets are growing by the minute! Who doesn't want a authentic COACH or Anuschka Handbag? Who needs a spa day? How about a custom built closet in your home? Men, your not forgotten either....cigars, whiskey and more. already signed up for our 2nd Annual Dining for Adoptables! Please check them out and get your tickets quick!! The venue has a capacity so get your tickets in advance! ALL PROCEEDS BENEFIT THE ANIMALS OF ASSOCIATED HUMANE SOCIETIES! Voted A Top Ten Tricky Tray Since 2010 ! Voted Best Tricky Tray 2015 & 2016 ! All funds raised at this event will go to the animals in FOWA's care. FOWA is an all volunteer, non-profit animal rescue group. $60 per person includes entrance fee, a 4-course meal and sheet of tickets. 12 people to a table. Pre-Sale Value packs are also available for $35 ($5 Savings) by March 25, 2019. Value packs will not be mailed and will be picked up at the door the night of. 50/50 raffle will also be available. This event holds 600 people max. There will be 100's of prizes at this event at various pricing ranges. Beer included & 1 sheet of small prizes with admission. Cash Bar, 50/50, and more.. Please follow our Tricky tray event page and check out some of our great gifts. 1 Sheet of 25 Large Tickets and 1 Grand Prize Ticket. Kate Spade, Coach, Bicycle, just to name a few things. Bring your own food and enjoy the evening with friends and family. PLUS.....A GREAT 75 PRIZE TRICKY TRAY! Includes 8 Games of Bingo & Dauber. Desserts, Snacks, & Beverages Included. Prizes include Calvin Klein, Coach, Kate Spade, Michael Kors, etc. Raffle Tickets (50/50's) will be sold. Accessories will also be raffled. Coffee, Tea and Desserts will be sold. $10.00 admission includes 1 sheet of tier 1 tickets. Additional tickets can be purchased for tiers 1, 2, & 3 prizes. Please, no children under the age 18 allowed. Live Music performed by members of the North HS Band! Other raffles will also be available. $35 Prepacks (valued at $42) available! Admission Fee includes one sheet of tickets and dessert. Additional basket level tickets and tickets packets can be purchased. Ticket packets sold at a discount. local community and various church ministries. DESIGNER BAG BINGO to benefit Family Promise of SOC. Admission includes 4 bingo boards with 10 games each. desserts and beverages for sale. 18 years or older and no alcohol is permitted. by calling Family Promise at 609-994-3317. Annual event to raise funds for our Teacher Grants. Pizza, hot dogs, snacks and drinks available for purchase. Purchase additional sheets for $1 inside. containing items, gift cards and CASH sold separately inside. $1 for 1, $2 for 3 or $5 for an arms’ length. And our famous 50/50 - $5 an arms’ length. Tray values start at $50. Disney Park Hopper Passes, 6 vacations, gas grill, fire pit and many more! general admission seating in the gymnasium. 3v3 charity basketball tournaments in New Jersey. all of which help raise vital funds for cancer research and clinical trials. Prizes consist of sports memorabilia, gift cards to restaurants, and much more. and either play in our basketball tournament or take part in our raffle. Questions? Email us at layups4life.org. Benefits the athletes of Monroe County Special Olympics. Grand Prize is $5 each for a $250 Gift Card to "Tavern on the Green". Over 100 beautiful theme baskets - something for everyone / all ages. Fun & yummy "fair food", beverages, & baked goods. Proceeds benefit our many ministries, youth and education programs. 100s of Items & Baskets! Reserve Your Tickets and/or Tables of 8 & 10! Admission $25 includes 10 Games of Bingo Dessert, Coffee and Tea included. Tricky Tray, 50/50, and Mystery Prize tickets available at the event. Hot dogs, Soda and Water available for Purchase. We have Coach, Michael Kors and Kate Spade bags. Please join us to help raise funds for a great cause. Tickets cost $5.00 for a sheet of 25 tickets plus 1 door prize ticket. We will also have specials and a 50/50 drawing. and you must be present to win. We will also be selling food and drinks. For more info call Terry 484-866-3142 or Lee 908-307-4647. All proceeds benefit the residents of Martys Place Senior Dog Sanctuary. Additional rounds and special rounds available for purchase. Kitchen Appliances & so much more! Knights of Columbus Annual Tricky Tray and Live Auction. Hors d’oeuvres, beer, wine, and soft drinks. after mass at St Therese Church thru 4/14. must be purchased before April 20th. Roxbury High School Softball and Roxbury Rebels Softball. $25 Pre-sale ticket package, must be purchased before April 20th. It's a fun night out with friends and have a lot of great prizes! Doors open 4:30 First drawing at 6:30pm. $10 in advance $15 at the door. Reserve your table now for 8 or more! 1241 John F. Kennedy Blvd. It will help support our school. The hottest item is our tickets to Ariana Grande‘s concert. $20 entry fee includes 3 boards each of 5 games of Giftcard BINGO. Bring your own snacks. Desserts and coffee will be provided. NO ALCOHOL may be consumed during this event). 5 games of Giftcard BINGO. 3 games of CASH BINGO. A Life For Brian Inc. I have dedicated my life to helping those suffering from addiction. to those struggling, many whom are homeless. designer bags such as Kate Spade, Michael Kors, Tory Burch and Coach. Additional boards will be available for purchase. Admission also includes tickets for the Tier 1 Tricky Tray. Additional tickets for tier one and tier two available. at $5.00 each or 5 tickets for $20.00. Caribbean vacations, jam packed baskets, gift cards, designer wallets, and much more. You can bring your own food or purchase food at the Lodge. Beverages may only be purchased at the lodge, and cannot be brought in. while at the same time, to support a great cause. purchase or bring your own. Alcohol prohibited. For groups of 8 visit rtsaa.org for reservations. The Rockaway Township Substance Abuse Alliance is a 501(c)(3). Features handmade baskets filled with lovely gifts. Also bake sale and light refreshments both days. Purpose: Raise funds to air-condition social hall. Sellersville Fire Dept. Ladies’ Auxiliary. Sunday, April 28, 2019. Held at Sellersville Fire House, 2 N Main St., Sellersville PA. Doors open at 11:30 & games begin at 1. Prizes are Longaberger baskets, pottery & wrought iron filled to the top! Ticket includes 24 games & lunch. raffles, 50/50, & bingo ball pull tabs. Special drawing for all tickets prepaid by 4/20/19. must have a ticket due to limited seating. We have sold out the last 10 years. so please get your tickets early. or leave a message at 215-257-4028 ext 306.
at The Dock on Wallenpaupack at Silver Birches Resort. for every family member including the pet will be raffled off! will be given out during basket drawing. Regular tickets are $8 for a sheet of 25. Baskets valued higher than $250 are sold for $1 and $5 a chance. Value packs will also be sold for $50. by covering rent, mortgage, electric, medical bills and more! before the care of their sick child. and/or jar full of change, and receive a free raffle ticket. more than 650 families have been given aid! for more information on how you can support Caleb’s Pennies. at the East Stroudsburg VFW. Doors open 1pm and drawing begins approximately 3pm. Free admission, fabulous prizes and low ticket prices. 50/50, birthday board and door prizes. Family friendly event. Free photos with Santa (with your camera or cell phone). All kids will receive a free gift from Santa (while supplies last). in the VFW Pavilion from 11am until 1 hour after prize calling. This year's event will make Chelsea's dream come true. Chelsea suffers from Static Encephalopathy and Cortical Blindness. It is Chelsea's dream to visit the Central Florida Theme Parks. For more information, call Patrick at 570-424-1649 or psmith878@outlook.com. The bingo games start at 3 pm and will end at approximately 5 pm. Men are welcome to join and play. Tricky Tray is a Beefsteak/Tricky Tray. Admission includes one set of regular prize tickets. Also there are grand and super grand prize gifts. Price includes sit down dinner & one sheet of level 1 tickets. Bring a bottle of wine to be entered into our wine raffle..
- 2 winners will split all bottles of wine. graduating high school seniors that reside in Paramus. contact Julie at mendham2019@gmail.com to purchase. designer handbags, fine jewelry, and more. This year's theme is the Kentucky Derby. Join us for a fabulous night of fun and fantastic prizes. 4 course sit down dinner and 1 sheet of regular prize tickets. CLICK HERE for our tricky tray online reservation system. PLEASE MAIL A CHECK TO AQUINAS ACADEMY BEFORE APRIL 1st. 50/50 BOOKS ARE $25 EACH. 6 SUPER PRIZE TICKETS AND 1 GRAND PRIZE TICKET. DURING CHECK IN AT THE HANOVER MANOR. IN THE NOTES SECTION WHEN YOU CHECK OUT. Fundraiser for the animals of BARKS. Or order using the prepaid reservation form provided here. Approximately 300 basket are expected. Super Specials value $300 and up. at the Fair Lawn Athletic Club on May 3rd, 2019! one door prize ticket, buffet-style dinner, soft drinks, and desserts. A 50/50 raffle shall also be held at this event. individuals living with HIV in Bergen and Passaic Counties for over 30 years. the end of the HIV/AIDS epidemic. or via email at capcoag@aol.com. our community’s children for over 100 years. as evidenced by recent state test scores. learning tools and resources for our students. All of the money raised goes back to the school to assist all students. and more scholarships for summer enrichment opportunities. Eileen Fisher, Book in a Box, Advantage Pest Control . . .
and we've only begun getting prizes!!!!! Concessions will be available, or you may bring your own food. $60 includes admission, 3 sheets of 25, and 2 grand prize tickets. ($75 value - you save $15). Beefsteak Dinner and Tricky Tray. One hundred percent of all the proceeds goes to the Scholarship Fund. and students in college with good standings. will be held on Friday, May 3, 2019. Doors open at 4:30 and games start at 7pm sharp. a dauber, coffee and dessert. You are more then welcome to bring your own food and drinks as well. for purchase the night of the event. Private tables of 10 can be reserved, smaller parties will be sat together. and all reservations must be received by April 26. Please email lisa.laspada@waynepal.org for more info. one sheet of Tier 1 tickets, coffee and desserts. for low-income families in rural Central Appalachia. It costs over $600 with transortation and supplies to send just one person. the volunteers in NJ and the homeowners in Appalachia. Benefits the church & its ministries. No admission fee coffee & cake free. Designer Bag Bingo plus Basket Raffles. (4 boards per sheet, per game) and dabber. Cake and coffee and 20 tickets included in admission ticket. are hosting the Together We Shine! Bingo and Tricky Tray Fundraiser. field trips, and events at both schools. 3 boards per bingo game with 10 games to be played. Doors open at 5:30pm. First game begins at 7pm. Prizes include designer handbags, Alex & Ani jewelry, android tablet & much more! Door Prizes, Number Board and 50/50 raffle. $35 Bundle Value Ticket package is available for pre-order. Judy Trobliger at fordsbingo@gmail.com or (908) 410-5180 (via text). event tickets, gift cards, small electronics, limited edition artwork & more! Apple iPad, designer handbag, and 50” television. where staff and students can do their best work. the students of Lafayette Estates Elementary School and Fords Middle School! ANIMALS NEED YOU TRICKY TRAY! jewelry, kitchen accessories, home décor, and more! “Thank you” gifts for all kids who help out! outing that’s both fun and affordable…THIS IS IT!!! Coffee, tea and dessert included. Voted Best Tricky Tray Of 2017 ! Voted A Top Ten Tricky Tray Since 2014 ! Visa Raffle tickets are still available through our website. a set of 3 game cards for 12 bingo games. Must be 18 or older to play. a sheet of tickets for Tier 1 tricky tray baskets – a $10 value! by 4/30 get 1 chance. There are multiple drawings with multiple chances to win. 14 Bingo games - 12 regular & 2 special 50/50 cash games! Tricky Tray raffle baskets! 50/50 raffle! Door prizes! Special raffle baskets! and more! housewares baskets, Tommy Hilfiger, Xbox – with more coming in! for our rescue partners and be entered into a bonus raffle. Advance ticket purchase strongly suggested. Tickets can be purchased online, by mail or by phone. and get your tickets today before the event sells out! Coffee, tea and snacks included. for ticket sales and questions. All proceeds to benefit Project Graduation. on May 4th at Delaware Valley High School. We are so excited for this event and are thankful for all of your support! $5 for any additional sheets. Face painting and kid crafts for free. Baskets of wine, house decor and AVON. Many gift cards from the local businesses in Milford. All profits benefit the Music Programs at Somerville High School. Admission includes one sheet of green prize tickets. (908) 310-1159 or email shs.trickytray@gmail.com. to students in NJ pursing careers in nursing/medical sciences. designer purses, beautiful genuine stone rings, laptop and much more. No entrance tickets will be sold at the event. at Trinity Church in Bayonne. household appliances and much more. so don't wait too long to buy your tickets! a sheet of Tier 1 tickets. Please note: Tickets are for adults only. but feel free to bring your own food. No alcohol, please. on Sat., May 4, 2019, at the Ramada Toms River, NJ. Huge selection of quality gift baskets, gift certificates, door prizes, etc. a 3-course lunch, fashion show and $5 worth of auction tickets. Doors open 10:30am to browse our fabulous gift selection! JUMBO 50/50 raffle tickets ($5.00 each). for more info and luncheon entrée selections. 24/7 Crisis Intervention & Suicide Prevention Helpline. some truly amazing prizes or our 50-50 drawing! beer, wine, soda, water, dessert. to put in prizes that we will be drawn at end of night. Includes Chips, Salsa, Coffee, Tea and Cake. Bring your own food and BYOB. to a Special Wine Raffle or purchase a ticket. We will have a lottery apron - 50/50 - Last man standing. Reserve today. Seating is limited. We will have over 175 gifts! Tables 8 or more can be reserved. Thank you for your continued support in helping us help others. Bundle up for $50 and get a prepack. and Instagram for more information @cctsmapa. please click here - www.paypal.me/cctsmusicbooster. of Northern New Jersey, Inc.
No entry tickets will be sold at the door. Entry tickets will not be available at the door. Our annual SMS Tricky Tray! Admission: $25 which includes meal ticket. Our 8th Annual Tricky Tray is back on May 9, 2019! Doors open at 5:30pm and drawing begins at 7pm. sandwiches, soft drinks, coffee, and dessert. No one under 18 years of age permitted. Last year we sold out so purchase your tickets early! therapeutic riding lessons for children with special needs. Entry includes full sheet of white tickets. The Tricky Tray is our main fundraiser. is holding its 11th Annual Tricky Tray on May 10,2019.
with high quality educational programming. to enhance their students curriculum and classrooms. attending our event for our Tricky Trays continued success. We have over 200 fabulous baskets on display. Beauty baskets, Adventure experiences and more. inside for the regular, big and grand table. coffee, tea and dessert later in the evening. Raffle Ticket Special Available at $25.00. one sheet of second level prize tickets and three large prize tickets. If purchased separately it would cost $35.00. Large Flat Screen TV, Wicker Patio Set and more. Tickets are $5 a sheet for main tables. Strip of tickets, lite lunch, coffee, tea, soda, water & dessert. Voted A Top Ten Tricky Tray 2011 & 2013 ! hot appetizer buffet, coffee, tea, & desserts + one sheet Level 1 tickets. Our first three levels are still sheets of 25 tickets! Reserve your seats now - this one sells out fast!!! Doors open at 6:00 - Raffles begin at 7:30. Admission $20 in advance up to April 30th. $25 May 1st through May 11th. Includes coffee, dessert and one sheet of small basket tickets. Purchase Ticket Bundles in Advance! 4 tickets Yankee Field Level includes gift bags & name on Jumbo Screen! Broadway.com! $500 Visa Gift Card! Meat Smoker! American Girl Doll, Local Attractions and Much More! We are starting a waiting list if tickets fall through. that includes a cocktail hour, dinner, DJ & dancing. As always, the there will be three ways to take home prizes. the Sony Pictures Classics Movie Premiere will cap off the evening. We have it all! Something for everyone! 43 inch Smart TV, Ring PRO doorbell, Dash cam, Echo Show! Close to 300 Baskets so far! $30.00 Admission includes brunch and fashion show. Enjoy a great tricky tray on Mothers Day. Bring the family. Moms walk in matching outfits. and grand prizes make this a can't miss event! All proceeds benefit Camp Acorn's program for those with disabilities. EVENT TICKETS MUST BE PURCHASED IN ADVANCE! Below are pre-sale ticket combos available for purchase. Join us for an evening of fun, food, and prizes. and even a lottery tree! The kitchen will have hot sandwiches, beverages and desserts for sale. and includes 25 raffle tickets for the merchandise table. Advance purchase of tickets is advisable. Call 908 232-7874 or 732 574-9799 for tickets. • 4 Burner Grill ...and SO much more! one sheet of yellow (25) tickets (2) tickets, and red grand prize (1) ticket. Cash Bar, 50/50 andHundreds of prizes! Designer Handbags and much more! Grand Prize $2000 Visa Gift Card! at the Brownstone on May 16, 2019.
and a phenomenal Tricky Tray. one sheet of tickets to LEVEL 1 PRIZES included with admission! show tickets and MUCH, MUCH MORE!! which you will be able to buy tickets for at the event. for sale on the day of event. There will also be a 50/50 raffle. of the Mental Health Clinic of Passaic. Lori Dhuyvetter at: 973-473-2775 Ext. 130 or Ldhuyvetter@mhcp.org. You can also register online at: www.mhcp.org/events. DEADLINE for Reservations is Friday, May 3,2019. Tickets included after admission price. Available until April 13th 2019 only! the day of the event for $40.00 each. auctioning off amazing gift baskets and prizes. for our Pre Kindergarteners to help prepare them for Kindergarten. on Friday, May 17th 2019 at Frankford Township School. This event has great prizes and should be a fun time all around. that all grades from Pre-K through 8th will benefit from. Invite your Friends,reserve your table. Bring your own food & beverage. (Please include, names, no. of reservations & phone no. whose homes were recently damaged and/or destroyed by a fire. 6:00 P.M. to 9:00 P.M. First drawing at 8:30 P.M. Admission: $10.00 and includes eight tickets to level two tier baskets. handbags by Coach, Michael Kors, Vera Bradley, Kate Spade. gift certificates for haircuts, restaurants & more. There will be sandwiches, wraps and desserts for purchase. 1 Door Prize ticket, complimentary coffee, tea & dessert. Admission Price $25.00 per person. and receive a FREE sheet of yellow raffle tickets!! Normally $50, Pre-purchase Price: only $35. Value Packs will be sold for $40 the night of the event while supplies last. Balcony or Floor Seating assigned in order of receipt. Eight-person minimum to reserve a private table. Less than eight tickets purchased will be combined with other guests to fill a table. CONTACT NAME the evening of the event. on the back of the form or on a separate sheet. No ticket or admission refunds. Bring Food, Friends & Family (must be 18 years old or over). door prizes, specials and 50/50 drawing. Tickets are $5.00 per sheet or 5 for $20.00. There are 3 tiers of prizes valued for $25 to $500. from $20 for 26 tier one tickets to $10 each for tier 3 tickets. to place a ticket in an item. If able to navigate park terrain. Tricky Tray and Softball Tournament. Come browse our prizes and drop your tickets beginning at 10:00 a.m.
Return around 3:00 to see who our winners are! Grab your friends and family, bring a blanket and enjoy the park. Children's Specialized Hospital takes place from 9 a.m. to 5 p.m.
Over 100 prizes will be offered up! Will you be the BIG WINNER? $10 for each sheet of 26 prize tickets. Contact Playball4miracles@yahoo.com for more information! Admission includes 1 sheet of tickets, coffee and dessert. Door prizes and high value baskets. BSMF's sound and microphone system. We are pre-selling bundles for $30 ($40 value). Party of 10 to reserve a table. Additional tickets and combo packs available at the door. All funds raised go to benefit the education of the students. Bundles and additional tickets available. a sheet of 25 tickets for small prizes and also free refreshments. Groups: You can reserve table. Firemen will be selling food. food for sale. Admission includes dessert, coffee and 1 sheet of tickets. Bring your own food & snacks (no outside drinks). will receive entry ticket for a chance to win a special prize. NY Bull Tickets, Baskets and more. $7.00 a sheet of 25 tickets or $30 for 5 sheets. Pre-sale tickets are $28.00 for 5 sheets and expires on 5/10/19. There will be a Silent Auction and Tricky Tray. a magician, band, and other entertainment. with the 'donate now' button. In the message, write tricky tray pre-sale. All tickets will be held until the day of the event. Scholarship Fundraising Event that will not disappoint!! be prepared to have an evening you won't forget!!! 10 Bingo Sheets for 10 games (four bingo boards per sheet). Cost also includes desserts, water, coffee and tea. Michael Kors, Kate Spade, Coach & MORE!! These amazing handbags will make you the talk of the town!!! being held at Pine Tree School May 19th, 2019 from 12-4:30pm. Food, music, dancing, games, raffles and more!! Early bird ticket sales are $30.00 by April 19. Children 12 and under are free!!! For tickets, please click on the link below! TV, MICHEAL KORS BAGS AND MANY MORE. and one sheet of regular prize tickets. No alcohol or tobacco products allowed on premises. ( One sheet of level one and one sheet of level two ) ! presented by the Allentown Corvette Club and sponsored by Faulkner Chevrolet. Over 200 Corvette's will be on display. will be on hand from select vendors. for kids with cancer in the Lehigh Valley. There are trophies for all classes of Corvettes. or win the 50-50 raffle. Do you like winning great prizes? Do you like spending time with friends? Do you like Tricky Trays aka Basket Raffles? If you answered "yes" to any question, then this event is for YOU! Join us for a spectacular day filled with spectacular prizes. then you will NOT want to miss this one. Be SPECTACULAR and join us! but also gives you sheets of tickets! All proceeds benefits the students of Summit School of the Poconos. Cost: Admission is $10– includes one sheet of regular prize tickets. will be available to purchase at the event. 1 level two ticket and a door prize ticket. $50 and $90 bundles available. $90 bundle includes admission. Prepurchase by May 27 and receive 1 extra level one sheet. Bring 4 cans pate cat food and get an extra sheet level one. We are hosting our 5th Annual Tricky Tray on Friday June 7th 2019. Sherwood Room at Forest Lodge! $20 per ticket Tickets will go on sale towards the end of April. Starter tickets w/ each ticket purchase. defray the cost of our K/Elementary expansion. the night of the even but at FACE VALUE of $40. Only 320 tickets available- always a sell out! LAUGHS, GOOD TIMES, & AWESOME PRIZES. tickets for Tricky Tray Baskets, coffee, tea, soft drinks, desserts. to continue supporting programs that serve the community. sports memorabilia, gift cards and so much more! may be purchased by emailing exit82theatre@gmail.com. Online ticket sales and Value Pack sales end 6/6/2019. gift card apron & birthday board! Soda, coffee, tea and dessert will be provided. Guests are invited to bring their own food and non-alcoholic drinks. Email Carly at exit82theatre@gmail.com for questions. at the Delaware Water Gap Fire Co., June 8, 2019 12pm - 4pm! and to offset field preparation and maintenance costs. Voted A Top Ten Tricky Tray 2017 & 2018 ! in the Passaic County foster care system. hors d'oeuvres, 3-course seated dinner, and one sheet of regular tickets. Children's Items, Themed Baskets, and Much Much More! Voted a Top Ten Tricky Tray in 2017 & 2018! Over 300 Prizes from Small to Grand ! coffee, tea, dessert. Outside food is permitted, but alcohol IS NOT. Raffle ticket special: $25 (before event) or $35 at the door. This special does not include admission! the many charitable causes that the KoC supports. you will receive an additional yellow sheet!! Please NO Mayo based products & NO Alcohol! or by contacting any of our members! All tickets will only be sold the night of the event. will also be available the night of the event. *Each sheet contains 25 tickets, 1 Door Prize ticket and a HOLD TICKET. grill and patio set. Hundreds of prizes. Food for sale, free cake and coffee. Event held every 2 years to ensure a quality experience! after last year's was a huge success! Admission includes a buffet dinner, beverages and dessert.
. We will have Raffles, Basket Raffles, 50 / 50 and more. Info: Judy Berger 215-752-2810 or Teddy Knapp 215-638-7720.
a very worthy cause at the same time! 2 sheets level one, 1 level two ticket and 1 door prize ticket. Purchase by August 10 and receive one additional level one sheet. $50 and $90 bundles available for purchase until September 8.
as well as beautiful baskets and gift certificates. We will have a cash drawing, lottery apron and a tea pot surprise. Tickets limited to 200 so get yours early. call Diana 908-689-1783 or Donna 908-328-5640.
for senior dogs and cats. is an all volunteer, non-profit organization. a sheet of first level prize tickets, tea, coffee and dessert. 1 sheet of first level, 2 sheets of second level and a ticket for a grand prize. 50/50, wheel spin, door prizes as well. Bring your own food and non-alcoholic drinks as there will be a cash bar. Our Bi-Annual Tricky Tray is right around the corner! or to be put on our email list for when it is available! 3 sheets level one, 2 tickets level two and a door prize ticket. for prepurchase by September 30. $90 bundle INCLUDES admission. and receive one extra sheet level one tickets. Bring 4 cans pate cat food and go in special drawing. To purchase or for information call Carol 9086894520 or CSA 9088593060. Come join us for a night of fun and excitement. and 1 sheet of regular prize tickets. Tickets are offered on a first come, first serve basis. Seating is limited so don’t delay, purchase your tickets today. You MUST be at least 18 years of age to attend. Registration is due by Sunday, September 22, 2017. Save $45 by purchasing a FEARLESS ticket bundle in advance. when purchased with registration by September 22nd. FEARLESS ticket bundles will be available for $100 at the event. Admission includes dinner & one sheet of Tier 1 tickets. will receive 10 Grand Prize Tickets. Value Packs are available $35 ($45 value). Winners Insurance will be available the day of the event. Flat Screen Smart TV, Designer purses, Luggage and much more. in your party so a confirmation e-mail can be sent. an overnight camp known as "Miracle on the Mountain". Tricky Tray ticket includes beefsteak, soda, wine, dessert. One sheet of small tickets.